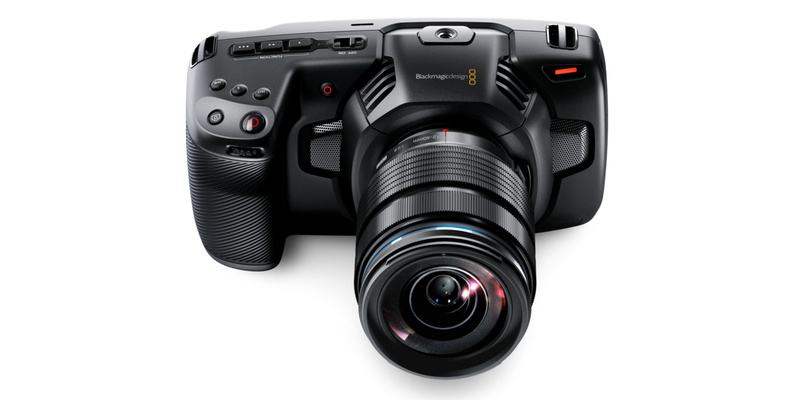 Five years after the original Pocket Camera release, Blackmagic Design just unveiled a long awaited successor with insane specifications such as internal 4K 60 raw recording. Here is what we know. 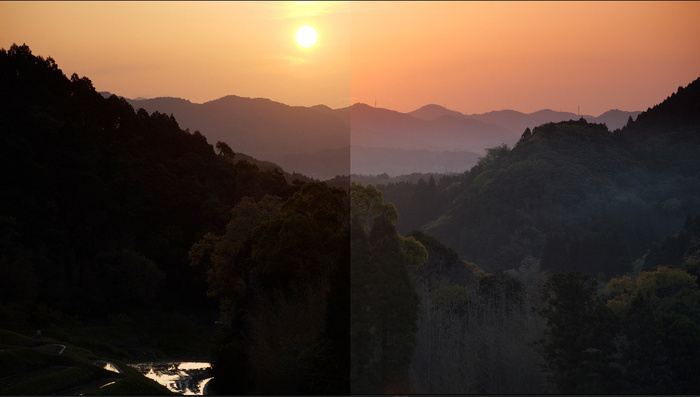 Unlike the original version, BMD ditched the super 16mm sensor (16:9 crop of a 1" sensor) to implement a larger HDR Micro Four Thirds sensor with a native resolution of 4096 x 2160 and 13 stops of dynamic range. Personally, I never really liked the Super 16 format due to the huge crop factor but the size of this new sensor (18.96mm x 10mm) is similar to the one of the Panasonic GH5s. The exact crop factor is not known but it should not crop significantly in 4K. However, the 120 fps is only available in “windowed HD,” understand a crop factor in 1080 recording. Most likely, the crop will be based on a 1:1 readout of the native sensor resolution. Another similarity with the GH5s camera is the dual ISO feature (400 and 3200) for improved low light performance which is a good point because the original Pocket Camera was not very good at high ISO. This inflation of features can be noticed on the size of the camera. The pocket factor is not obvious anymore unless you wear large cargo pants. This new camera is larger than a GH5. The reason? A large 1920 x 1080 five inches touchscreen on the back of the camera to help with focusing and exposure duties. 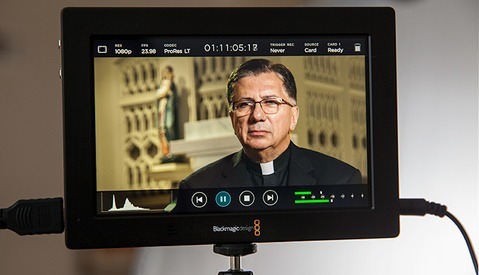 URSA users will feel at home since BMD recycled this interface on the Pocket 4K camera. Thermal management is probably another reason behind this size increase. 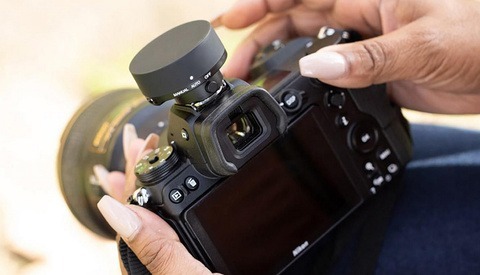 The camera is based on the Micro Four Thirds mount and optional lens adapter will allow the installation of a great variety of lenses like the PL, C, and Canon EF mounts. There are little things I hate more than external devices dragging my camera down with additional weight and an unnecessary cluster of cables always prompt to get entangled with the outside world. Yesterday, we saw that the “new” Sony FS5 II is only capable of recording internally in 8 bits with a maximum frame rate of 4k/30p. Nothing like that on the new Pocket Camera 4K. Basically, all the resolutions and frame rates can be recorded internally to one of the two cards slots. 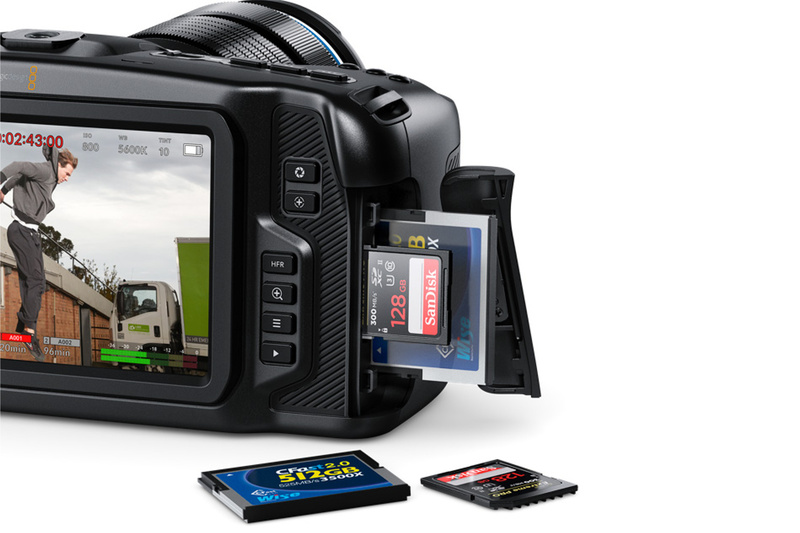 The camera supports the standard SD UHS-II cards and the CFast 2.0 format for the most demanding data-flow such as raw 4K/60. 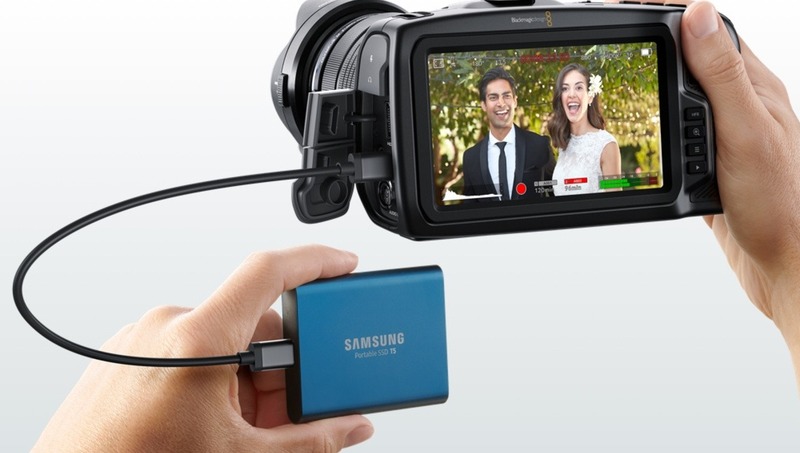 One of the greatest feature is the possibility to use the USB-C connector to record the raw footage on an external media like a portable SSD or flash drive. No need to buy absurdly expensive proprietary SSD. Please RED, take note. The recording formats includes the 12 bits CinemaDNG raw with several compression ratios (None, 3:1, 4:1), as well as the more manageable ProRes modes (422 in HQ, LT, and Proxy). The camera can handles all the traditional resolutions and frame rates all the way to 4k60 in UHD and DCI. Expect these rates to increase in 60 fps modes. The Pocket 4k comes with all the connectors associated to professional cameras: mini audio XLR with phantom power for professional microphones as well as regular 3.5mm in and out ports, full-size HDMI, and a two pins DC power socket. The internal power source relies on a standard Canon LP-E6 battery with an expected (optimistic?) autonomy of 60 minutes. Last but not least, the camera can be controlled wirelessly via Bluetooth. 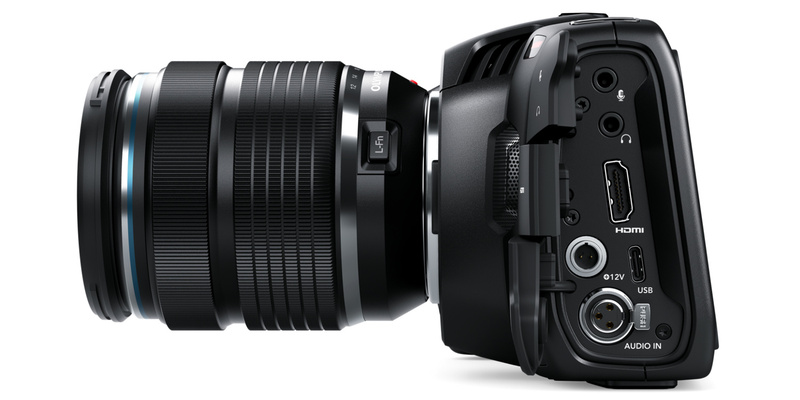 The Pocket Cinema Camera 4K is available for pre-order and should start to ship in September 2018 for $1,295 along with a full Blackmagic Resolve Studio license in the box. 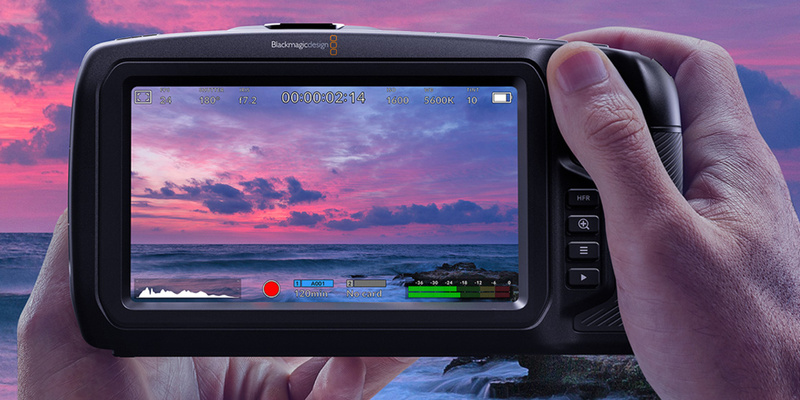 Once again, Blackmagic pushes the envelope and set a new standard for entry-level video cameras. Some of the features packed in this camcorder are usually reserved for high-end professional products with a much bigger price tag. For $1,295, the Pocket 4K is positioned very aggressively but little is known of its true capabilities. How does the auto-focus perform? Is there some recording limitations and unadvertised crop factors? How does it handle the high ISO? And finally, will the Pocket 4K be free of glitches and software issues? Let’s wait for the first reviews with our fingers crossed. "How does the auto-focus perform? " Black Magic cameras have never had anything more than a standard push focus feature. And that's it. While technically "not true," it is 99% safe to say this camera won't have any AF capabilities, so it shouldn't be judged at all for it. This is a cinema camera in the form factor of a DSLR. They actually announced that it will AF. Most likely just AF-S. But yes I wouldn't judge based on its AF capabilities. For sure the Pocket 4k AF won't compete against Canon DPAF. It's not the same market. I just want to say that little is known about the real capabilities of this camera. If the specs look amazing, we need to wait for the first reviews to discover the strength and weakness of this product. Can't wait for this! If everything is on par, i'm buying 3 of these. Excited! If BMD delivers, I'll buy one for sure. I’ve been wanting a small video camera with a big screen. The gh5 screen is great but still so small it’s hard to see. The price on this is very exciting. I'm always prompt to criticize manufacturers but with the amount of features packed in this camera for the price, I think there is nothing to complain about. 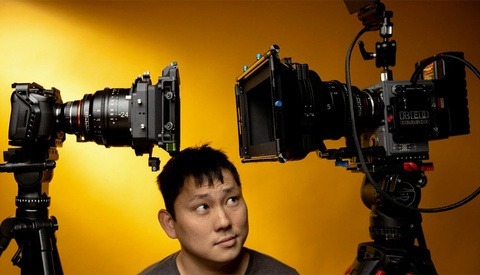 I'm sure that creative companies will provides cheap sun hood adapters for the Pocket 4k. You can do RAW with the GH5s to the ninja? Sorry, I meant to say "ProRes"
Gonzague GB I haven't seen any video sample from the Pocket 4k yet. How do you like the GH5s compared to the GH5? I'm curious about your feedback. Scott Stebner No raw, "only" 4:2:2 10-bit. We will have to wait for some real footage before going nuts, but yep on the paper the Pocket 4K is what I want. Regarding the GH5s, it is really different camera compare to the GH5 in terms of colors and look. It is not day and night different but it give more latitude in grading. I was surprised a few days ago how good I could recover dark area without much noise or the need to use Neat for example (Example below). All and all I like the videos coming out of the GH5s better than the GH5. There are however two things that I miss on the GH5s. 1. 6K Anamorphic in H.265. I do not shoot Anamorphic but often use this mode to create ken burns effects. 2. The Ex Tele mode, which gave me a longer reach without quality loss. Thanks for the feedback. The difference of colors makes sense since the GH5s is 14 bits vs 12 bits for the GH5 and they probably put more Varicam "touch" in the GH5s. I am not too much of a Sony guy, I am not crazy about Sony colors and... price ;-). While I am curious about what Sony is going to offer with the A7SIII, it will have to be a serious upgrade not "A la" FS5 MKII. Even the GH5s looks, on paper, quite outdated now that the Pocket 4K is alive. Also, I have read somewhere that Sony will not put 10Bit 422 on their Alpha series and this to differentiates their Pro and none Pro products. Even the FS5, a pro oriented camera does not comes with 10Bit while their newly announced Pro Camcorder do??!?!?!?! Anyway, once you enjoyed 10Bit 422, hard to go back to 8Bit 420. Now if everybody could start implementing H.265 it would be FANTASTIC! Yes, with internal recording and 5 inches screen, there is no reason to buy one of these external recorder. It's already included! The price is completely crazy. You can have A,B, and C cam for the price Sony A7S3 or 5D. Me too, strangely, I couldn't find any info regarding the weight of the camera but it's very wide (7 inches) due to the large screen on the back. I don't know how it will fit and balance on a gimbal, especially the smaller ones. They announced in one of the interviews that when they switch to their carbon fiber bodies (the current models at NAB are made of metal), that it should weight 750grama / 1.6lbs. It should be well within the weight threshold of today’s hand held gimbals. The width might limit its ability to be installed on some. But check the ronin s. The design on that should make it a perfect match for this camera. Blackmagic Design "glad the paid beta testers are lining up"
Yes, unfortunately it's a common problem with BMD, I experienced a few camera freeze on the field before but nothing too dramatic. Hopefully this new Pocket 4k will be glitch free. Does anyone proof read these articles? Multiple typos and grammatical errors. It was kinda tough to read. Sorry, my bad. I was in a hurry when I wrote this one.